Fortis Healthcare and GE Healthcare, today, announced the launch of Asia's first electronic Intensive Care Unit (eICU) facility - CritiNext. The eICU services being offered by CritiNext makes speciality critical care accessible and affordable to critically ill patients in small towns of India. The CritiNext e-ICU is powered by GE's Centricity High Acuity Care Solutions and operationalized by critical care experts from Fortis Healthcare. CritiNext, India's as well as Asia's first eICU is LIVE and operational today, covering 34 ICU beds in two small hospitals based in Raipur and Dehradun. Commenting on the launch Aditya Vij, CEO, Fortis Healthcare Ltd said, "We are pleased to be the first healthcare institution in India and Asia to offer valuable life-saving eICU services. The brilliance is not in the technology alone, but the fact that we can use the technology to help physicians practice evidence based medicine. In a couple of years, we believe that this will be the accepted standard of care for patients in India and help to save more lives." The CritiNext eICU enables a remote hospital to provide advanced consultation, care and monitoring to their critically ill in-patients without having to physically transfer them to super-speciality hospitals. Transporting a critically ill patient from one facility to another, especially a distant hospital, can be risky. Patients are at the risk of clinical deterioration that may lead to adverse events including threat to life, due to the stress caused by transportation. However, CritiNext eICU helps provide expert care to the patient at the local hospital helping avoid inter-hospital transfer and risks. ICU care at local hospital allows patient get better support from family as well as help reduce costs by shortening the stay in ICU. CritiNext addresses the shortage of critical care staff in remote areas and enables physicians in remote units to manage ICUs more efficiently. Remote ICU Monitoring Technology combined with expert set of eyes can help reduce medical errors and infection within ICUs leading to reduction in patient mortality by upto 60%. "We are at work for a healthier India. We innovate solutions that can help break the barrier of healthcare access, cost and quality. CritiNext eICU solution is a perfect example of how we can take scarce, quality expertise and through innovation, extend it for better health of more people. We are proud to be the technology partner for India's first eICU initiative with Fortis Healthcare. Smart collaborations like this can help unlock new ideas that raise the standard of care for better outcomes," said Terri Bresenham, President & CEO, GE Healthcare South Asia. With GE's Centricity High Acuity Care & Critinext command centre in Delhi, intensivist can monitor real time parameters of critically ill patients from remote ICUs/Hospitals on a 24/7, 365 days basis. The Critinext team can also assist in timely treatment and monitoring of patients in collaboration with local physicians over audio/video capability provided by GE Solution. Smart alerts built into Centricity can flag trends in patient's condition like picking up a spike in a white blood cell count, the start of a low grade fever, and maybe a little bit of a drop in urine output etc. When an Intensivist at Critinext Command centre puts all those together, they are able to conclude if a serious infection is setting in. Using state-of-the-art rules based engine, clinical parameters are tracked and used to generate clinical notifications which can be overseen in a paper based workflow. It helps in providing pro-active care to save the patient's life. Dr. Amit Varma, Executive Director CritiNext, Fortis Group of Hospitals said, "Each year, an estimated 10% of all hospital admissions require ICU care. 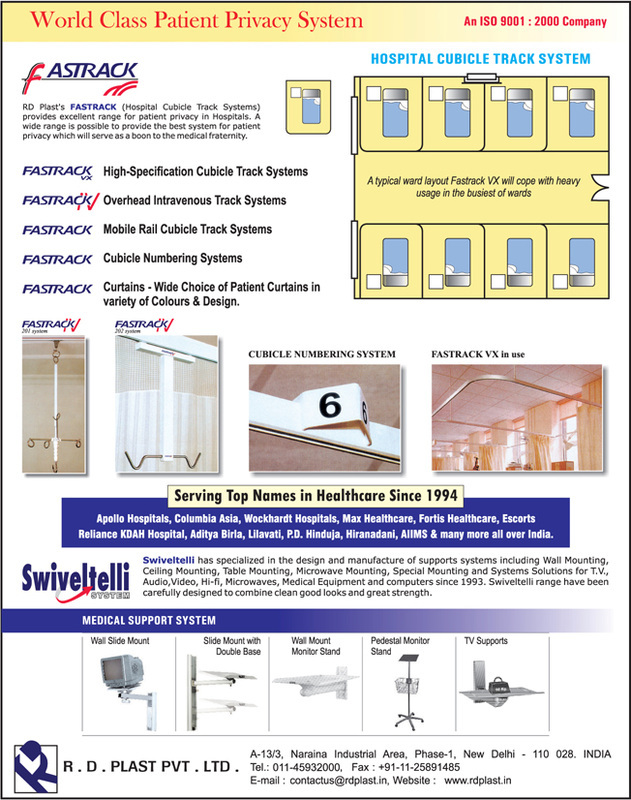 The statistics are staggering - just 70,000 well equipped ICU beds against an estimated demand of 400,000 ICU beds to provide critical care for approximately five million ICU cases per year. It is equally alarming to see the non-availability of qualified intensive care specialists. Only 6000 intensivists/Anesthetists are catering to the critical care needs of five million patients! 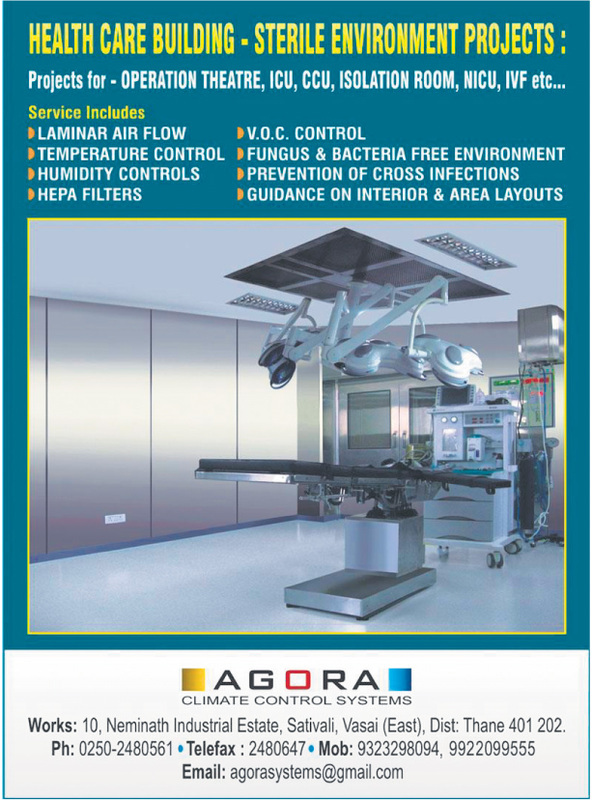 Well-equipped ICUs, qualified intensivists and 24/7 availability are key determinants of successful outcomes. CritiNext is a solution to bridge this huge gap of ICU beds by providing specialist care at the point, where it is needed in a cost effective way. It also provides successful evidence based outcomes helping standardize the critical care for the patients irrespective of where they live." CritiNext - India's as well as Asia's first eICU is LIVE and operational today, covering 34 ICU beds in two small hospitals based in Raipur and Dehradun. Two more hospitals - one in Punjab and the other in Uttar Pradesh are expected to go live by end of June 2012. 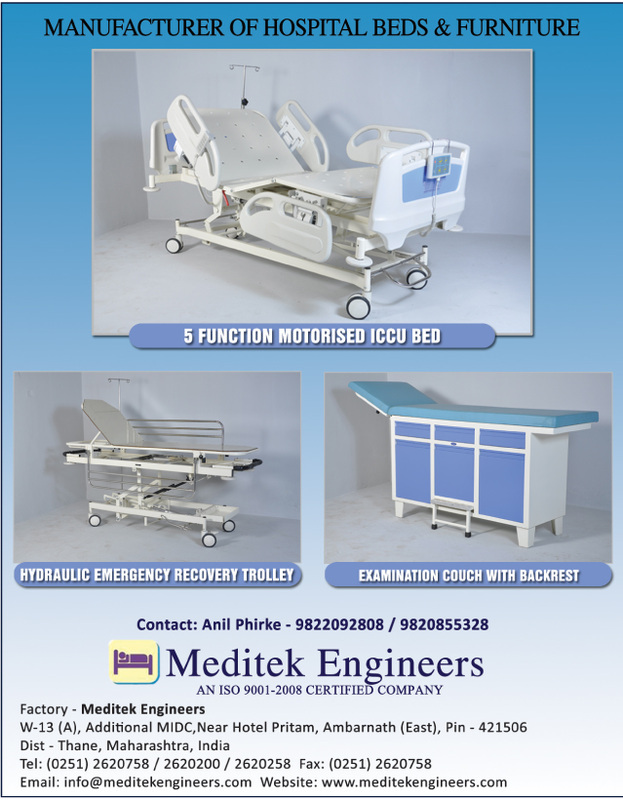 As part of a national roll out of this technology, Fortis Healthcare and GE Healthcare aim to deploy the solution connecting a minimum of 500 ICU beds in 20 hospitals by 2014. "We have seen enormous benefit from eICU services already", said Dr Suryavanshi, Chief Cardiologist, Fortis Hospitals, Raipur, the first centre in India ever to be connected with an eICU. "Over the past 45 days, we have received expert care from Fortis Escorts Hospital, Delhi, 2000 kilometers away from Raipur, virtually and in real time, benefitting over 100 critically ill patients admitted in our hospital." Mumbai, Maharashtra, India, Thursday, June 21, 2012 -- (Business Wire India) -- Riester has upgraded its classic twin-tube aneroid sphygmomanometer, exacta®. The new version has been reduced in weight and is available in a latex-free version. The unit is designed to deliver lifelong precision thanks to long-lasting parts and a specially tempered copper-beryllium diaphragm that allows pressure loading up to 600mm Hg. It features a stainless steel metal clamp for hooking the pressure gauge to the cuff, and a durable air release valve that offers fine adjustment. The manometer scale delivers accurate and easy to read measurements, with a maximum error tolerance of +/- 3 mm Hg. Riester offers a comprehensive selection of different sizes and versions of cuffs with exacta®. Delivery of exacta® includes a handy vinyl zipper bag. Mumbai, Maharashtra, India, Wednesday, May 30, 2012 -- (Business Wire India) -- In addition to its Classic Portable Slit Lamp (PSL), Keeler has launched a new version, PSL One. PSL One offers one standard magnification 10x, a more cost effective option that gives the customer a choice of Keeler slit lamp depending on their practice needs. 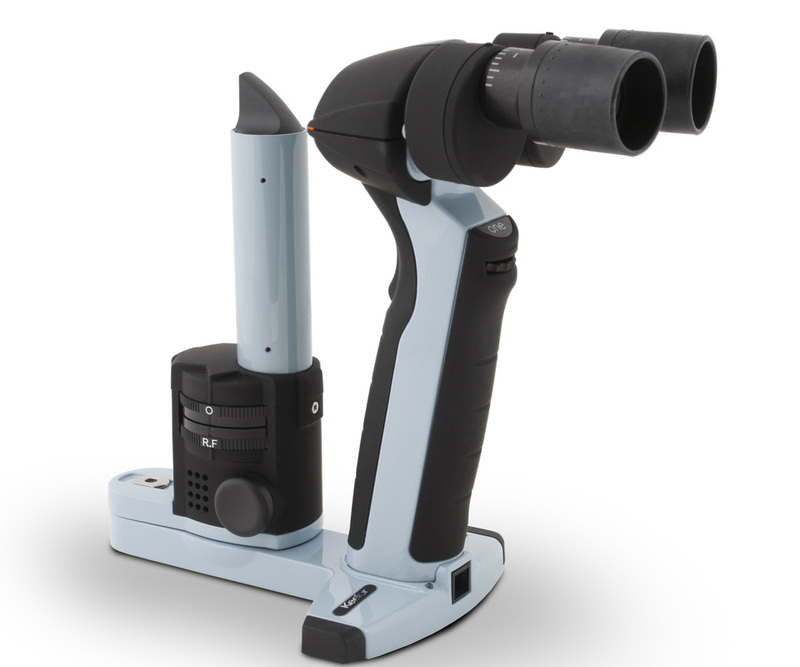 Keeler's PSL One has been designed to be lightweight and durable, ideal for use on paediatric, elderly and disabled patients, in on- or off-site clinics, with a precision-machined aluminium chassis that creates a sturdy structure able to withstand daily travel and use in a busy practice. PSL One features slit and wheels from 0.15 to 1.6 mm, a 12mm circle and a 1mm square to produce anterior chamber flare, aiding the diagnosis of uveitis. Red free, blue and ND (Neutral Density) filters all come as standard. Its advanced optics offers x10 magnification, with illumination control down to zero. Keeler's Classic PSL and PSL One are high-performance, British-designed and -manufactured instruments. For more information on the PSL One, please visit the company website at www.keeler.co.uk. 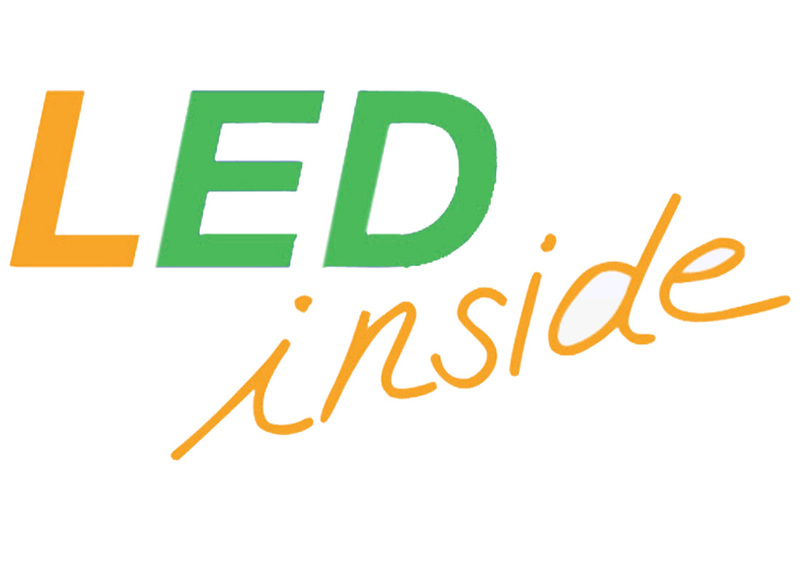 Mumbai, Maharashtra, India, Wednesday, May 30, 2012 -- (Business Wire India) -- Use of light emitting diodes (LEDs) as an energy-efficient light source has become more commonplace recently as the technology has improved over the last few years. The otoscopes and ophthalmoscopes in Riester's ri-scope® L and e-scope® ranges now use LED lights to provide a clearer image and increased lifespan with their whiter light and excellent efficiency. LED illumination is also offered with otoscopes in Riester's ri-former modular diagnostic station, which offers a versatile combination of modular options and cost-savings by negating the need for batteries. Along with other energy-efficiency improvements such as durable li-ion batteries and automatic power management, Riester's use of the most up-to-date technology offers doctors and nurses a range of E.N.T. 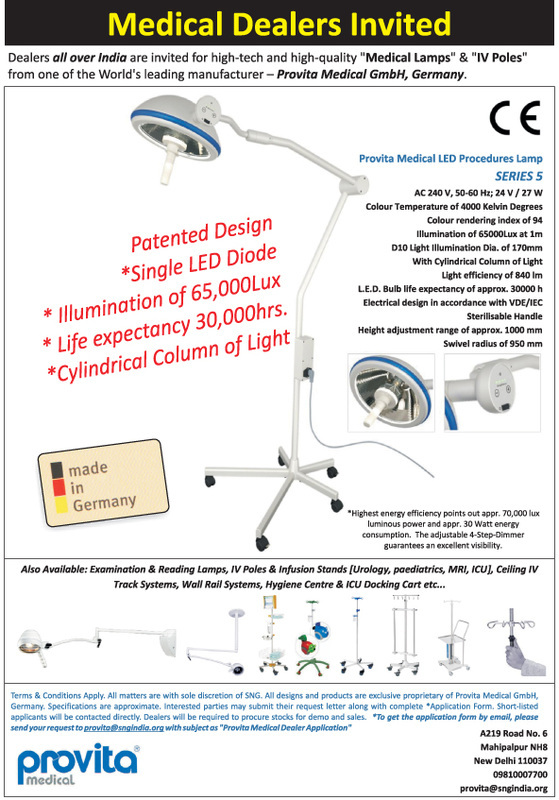 examination instruments that provides higher quality light over a much longer lifespan. For example, the LED lamps in the ri-scope® L series will produce at least 20,000 hours of 17,500 Lux light intensity, compared to the 20-30 hours of a xenon or halogen bulb. In addition to the direct user benefits, Riester is pleased to be offering a product that is much more environmentally friendly than traditional lamps, with the instruments using less energy, requiring less maintenance and making the batteries last much longer - meaning less waste from disposal and replacement. Alkaline batteries for e-scope® and lithium batteries for ri-scope® L have a much longer lifetime of 50 hours when used with LED illumination compared to traditional bulbs. GE Healthcare’s Centre of Excellence for Cell Biology in Cardiff, Wales. Stockholm, Sweden and Chalfont St Giles, UK – 22 May 2012 – Karolinska University Hospital Sweden and GE Healthcare Life Sciences today announced a joint research collaboration to drive advances in technologies and workflows for use in the rapidly emerging field of cell therapy. The three year collaboration will combine Karolinska University Hospital’s world-class clinical expertise in cell therapy with GE Healthcare’s industry-leading capabilities in cell biology and in technologies for the manufacture of biotherapeutics. Cell therapy, the use of cells to replace damaged tissue or to treat disease, shows great promise for the treatment of many life-threatening and life-limiting illnesses such as cancer, heart disease, Parkinson’s and age-related macular degeneration. There is enormous interest in the potential health benefits of cell therapy, with more than 500 studies worldwide currently at the clinical experimental phase. Karolinska University Hospital is leading several pioneering cell therapy trials for the treatment of cancer as well as neurological and metabolic disorders. GE Healthcare Life Sciences has over 30 years’ experience in developing technologies for the manufacture of biotherapeutics. The company also has a pioneering research program aimed at developing new technologies that will help enable the new era of cell therapy. The goal of the collaboration is to explore and advance future technology and workflow needs for cell therapy in a clinical setting. Before cell therapy can be used as a routine treatment, there are a number of significant technological and regulatory challenges that need to be addressed. Routine cell therapy will require new technologies to grow, handle, process and analyze cells, as well as the development of robust, reproducible and standardized protocols and workflows for manufacturing and quality control. Karolinska University Hospital and GE Healthcare will work together to identify what is needed to make this a reality. The research will be coordinated by Pontus Blomberg from the Karolinska University Hospital in conjunction with scientists and bio-engineers from GE Healthcare Life Sciences.